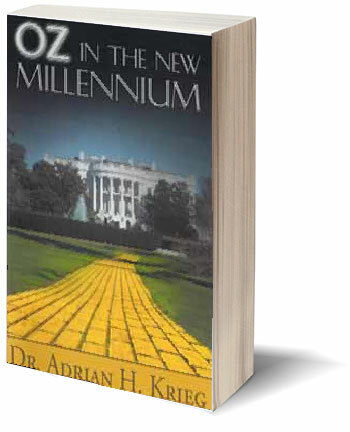 OZ is the story of our time in history. It is about the collapse of America as a republic and its conversion by the “Progressive wing” of the Democrat i.e. socialist party into a failing empire. Congress now has over 70 progressives and they control the White Houser and Federal Reserve as well. Those who have power over money and its issuance, interest, and debt control, the society. This Obamanation is the destruction of independent thought through media control, and the elimination of private enterprise through the nation’s conversion into European socialism. You will learn the simple solutions to this Obama made dilemma as well as what inaction by the citizenry will result in.